Chinese markets slid last week on talk of a cash crunch at some of the country's banks. China's central bank has been forced to pump nearly $50 billion into the financial system to prevent a second damaging cash crunch this year. Some banks in the world's second largest economy have been struggling to secure funds as the end of the year approaches, a time when they usually need extra cash to meet minimum deposit requirements, and as companies seek more money for operations. Investors were spooked late last week as indicators of tight liquidity surged to heights last seen in June, when Chinese markets were roiled by a major credit crunch. In response, the People's Bank of China said that it had pushed more than 300 billion yuan ($49.4 billion) to select banks in an effort to avoid bank defaults. It took the unusual step of announcing the move on Weibo, China's equivalent of Twitter. "The fragile nature of [China's] financial system remains a challenge for the central bank and poses a threat to the economy," said Nomura's China economist Zhiwei Zhang. 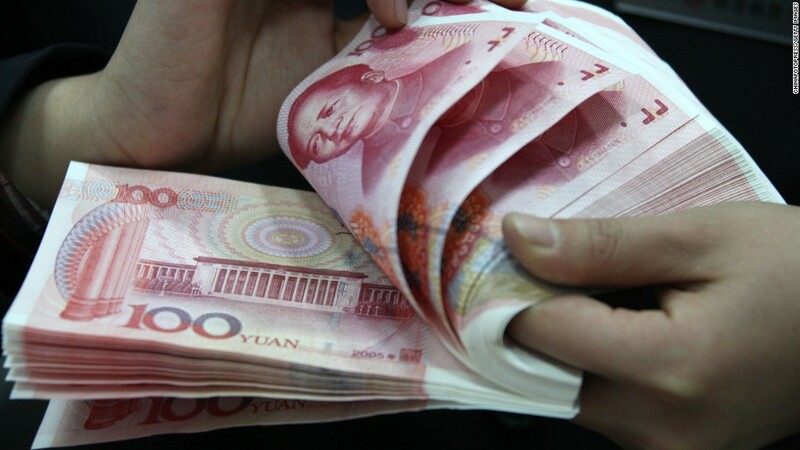 Although the central bank's emergency action will likely prevent a repeat of June's credit crunch, it is still possible that some banks will be unable to make payments to each other next year, he said. When and whether China's central bank intervenes at times like this is an example of the many challenges the country faces as it shifts toward a more sustainable growth model after decades of rapid expansion fueled by cheap credit and export-led growth. Some analysts have criticized the central bank for acting late; an earlier move could have been more effective in countering the seasonal shortage of cash. Others say the central bank's apparent reluctance to inject emergency cash is one way of reining in excessive lending. By keeping money tight, and thereby pushing interbank borrowing rates up, Beijing is forcing banks to curb risky loans and adjust to a more market-oriented environment. It's also a way to flush out reckless shadow banking in China -- largely unregulated lending often to small and mid-sized companies, organizations typically ignored by the big state-owned banks.. Either way, investors may finally be warming to the central bank's actions. The Shanghai Composite rose 0.24% Monday, breaking a nine-day slide. The index lost out last week as global markets cheered the U.S. central bank's decision to pare back stimulus, a decision seen as a vote of confidence in the health of the global economy.